Bicester Herigate nuts reveal their Series and Defender 110 collection. Theo Ford-Sagers plunges a 200Tdi 110 into the depths of the Malaysian rainforest, and gets a taste of life Camel Trophy-style. 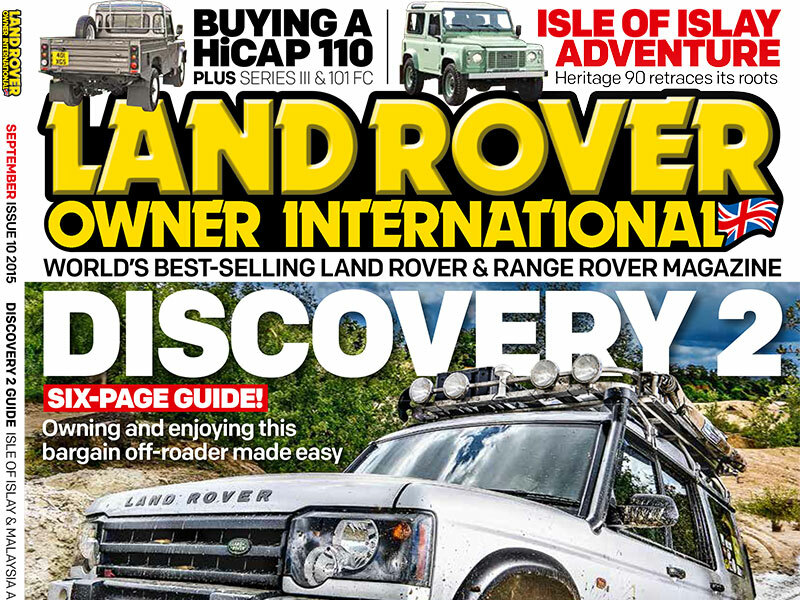 Your compact guide to the best-value Land Rover that money can buy. Neil Watterson explores Land Rover's history on the Isle of Islay in a selection of classic Land Rovers. What happens if you put a go-faster Rover 75 petrol engine into a Freelander 1? Mark Saville finds out from a man who did just that. Bicester Heritage is a huge project dedicated to enjoying classic vehicles - and the enthusiasts there couldn't get by without their trusty fleet of hard-working Land Rovers, as Jerry Thurston discovers. Just how did the Range Rover Sport redefine Land Rover 10 years ago? Neil Watterson gives the front end of our Defender a thorough makeover.